Your ration is precisely calculated with your nutritionist, but how sure are you that your herd gets and eat what they need? Feed ration management is the key to optimizing feed efficiency and profitability. 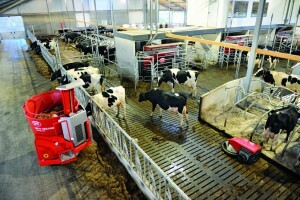 Lely has improved the management system of its Lely Vector automatic feeding system. The latest version of the Lely T4C management system provides more integrated reports that combine Vector and Astronaut data, which can provide cost of feed per 100lb (or kg) of milk instantly. The new reports give an overview of the fed ration and the costs for a specific animal group in a specific time frame. Real-time information helps the farmer make fact-based decisions in order to improve feed efficiency. This information can help you see directly the impact of ration changes and have direct insight in what the influence of feeding is on milk production, feed intake, rumination or health. Accuracy reports for the Lely Vector feed grabber, which loads the mixing and feeding wagon, help to reduce the difference in the calculated ration and the fed ration to a minimum. Minimum feed losses and rest feed have a positive impact on the margin of feed, resulting in a higher profit for the farmer. The reports can help determine the feeding cost of the components you buy in, the value of your home grown feed, the ratio between the cost of home grown and bought feed and feed efficiency of your milking cows. 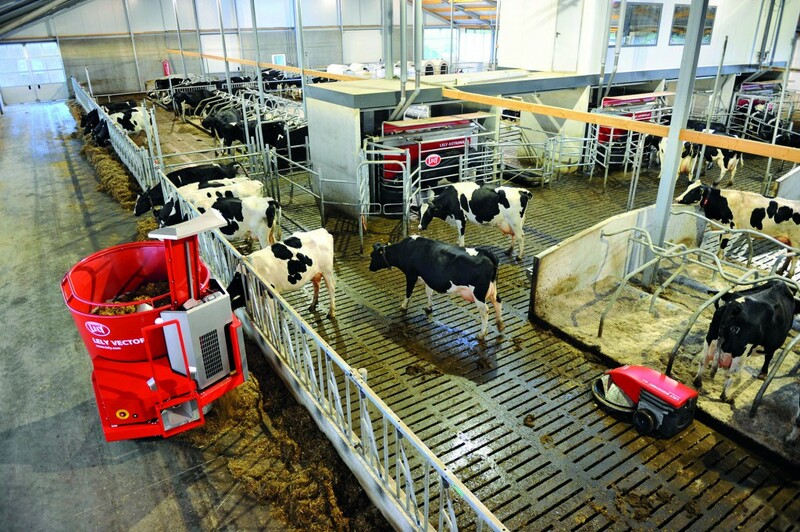 With the Lely T4C management system tied to the Vector and Astronaunt, farmers are able to feed according to their cows’ needs, allowing them to excel in milk production. Read more here.